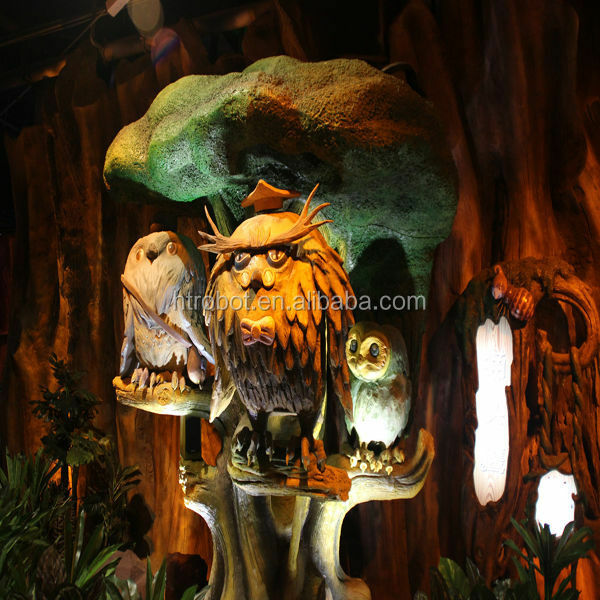 Supplying you with unique CE certification entertainment robot for animatronic owl products, we are here waiting for your contact. 25 days after receive 50% down payment. Delivery time depends on the ordered production size. Lead time: 15days-45days, according to the order quantity and requirement. All our animatronics Products made up of well treated metal frame,brushless motors driven for movements, skinned or fleshed with a high density foam, and manually sculpted and coated by a professional artist with a high grade silicon rubber to have an alive-look and touch and flexible to have fine and smooth movements and painted with a custom desired color. *We are the first manufacturer of animatronic simulation dinosaurs, animals, insects and intelligent robots in China, introduce Advanced technology into factory from Japan and Taiwan. *Our factory is located in Guangzhou,20mins away from Guangzhon Port and Pazhou Pavilion by car driving. All of our products are handmade with earth-friendly material and strictly according to CE and RoHS standards. *Our aim is to provide the best products with the best service!